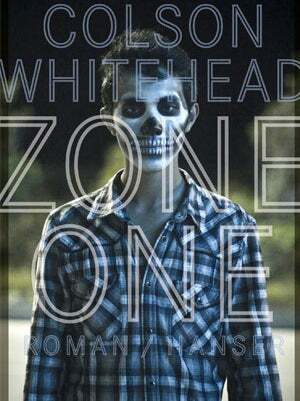 Colson Whitehead: Zombies Are About "The Everyday Becoming Monstrous"
We loved Colson Whitehead's zombie novel Zone One, in which a team of survivors combs through the wreckage of a post-apocalyptic city, assailed by boredom and weirdness as much as by horror. Now, talking to Salon, Whitehead explains why he's fascinated with zombies: They're like everyday life revealing its horrifying side. What attracted you to zombies as a subject? They always had a sort of neurotic fascination for me. I grew up going to the video store on Fridays and renting horror movies and gorging on splatter flicks when I was like 10 and 11. I came across horror and dystopian science-fiction movies pretty early. Thirty years on, after having zombie anxiety dreams for many years, it seemed time to sort of address what I found so fascinating with zombies. Part of it is the idea of the zombie as the everyday becoming monstrous; people you love, your family, friends and neighbors suddenly dropping the mask and no longer pretending to be human seemed particularly scary. It was fantasy and science fiction and horror that made me want to start writing in the first place, so it seemed like a good time to kind of salute my influences. It struck me that there wasn't such a clear line in "Zone One" between our current world and your vision of a post-apocalyptic one. Well, yes. I think everyday existence is somewhat zombified in terms of how we go about our beloved routines and the way we numb ourselves. The whole interview over at Salon is worth reading.